I visited the premises of Chateau de Versailles for the first time in 1998, bringing along my first Hasselblad camera, the 500C. I immediately felt at home in the gardens. I went back the day after, and the day after that. I traveled back and forth in both the summer and autumn seasons over the last twenty years using the H1D, H2D, H3D, H4D and H6D-50c. There has never been any doubt about which camera I preferred and which camera system made me the most creative. Norwegian-born and France-based, Julie-Christine Krøvel’s deep fascination with history brought her to the southern European country in the 1990s. Enchanted by the Chateau de Versailles, Julie-Christine began a photographic love affair with the historical palace grounds in 1998, shooting its photogenic angles with her 500C. Visiting it frequently for the last twenty years resulted in a beautifully unexpected collection of images using six different Hasselblad cameras. Exploring Versailles through the lens of her cameras, Julie’s images represent her photographic journey from one Hasselblad to the next. Starting with the analog 500C, Julie switched to her first digital camera, the H1D, in 2005 and slowly made her way through the H System, using the H2D, H3D, H4D, and H6D-50c to showcase the beauty of Versailles. “I love bringing both film and digital Hasselblads into the project; it’s totally different ways of working. At the start of my project, I used special cut medium format infrared color film with the 500C. In my digital images, I have kept the look of that film somehow, producing vivid and special colors,” says Julie. Expressing her vision through the colors captured with infrared colour film, Julie was able to stop time and display Versailles’ beauty from a surreal perspective. I would describe my style as colorful, artistic and personal, focusing on different light techniques. I’m very focused on the use of light and color grading. I use creative color flash techniques, flash-daylight, and more. The use of light is everything to me; that’s what photography is all about. I remember bringing the H1D inside the palace and passing security. They stopped me, looked a bit surprised, and asked me what I had brought with me. “It’s a camera,” I said. He smiled and said he had never seen such a big camera. It wasn’t lots of people going around in the streets with the H1D, and therefore, causing a bit of attention sometimes. It was a dedicated project bringing a camera here. But, I have never compromised on quality and when I’m shooting with Hasselblad, I’m at my best as a photographer. Even though much of the premises was restored after the French Revolution, it contains a lot of the same objects and images of its time. Infrared photography indoors was not my first choice as it would change the interior and colours, and that would be wrong. Interior photography was a bit difficult to combine with the rest of my images from my previous journeys. But measuring daylight in different techniques as well as keeping the subtle light and atmosphere, I think I succeeded in bringing in my previous style when shooting inside the palace. When I’m shooting with Hasselblad, I’m at my best as a photographer. It makes me produce high depth tonality which I have never seen with any other camera. My greatest satisfaction with Hasselblad cameras are their vivid colors and immense sharpness. In fashion, I use lots of different light sources and flash-daylight techniques where I need to adjust the shutter and light source variable; that’s possible with Hasselblad due to the construction of the shutter inside the lens. I have used Hasselblad for all types of photography – shooting fashion in the back of a small plane, in snow storms, at the beach, in endless rain and commercial landscape photography on top of roofs, in lifts, on boats. It never fails me! Fashion and beauty photographer Julie-Christine Krøvel has been dedicated to the Hasselblad system since the 1990s. Raised in Oslo, Julie received an education in photography in Denmark and started her professional career in 2003. With a special connection to France, it became her second home; Julie now works half the time in Paris, where she feels her work is much more understood. Staying true to her artistic identity while working commercially, she loves to experiment with different light sources, filters, and cross processing techniques. See more of Julie’s work here. 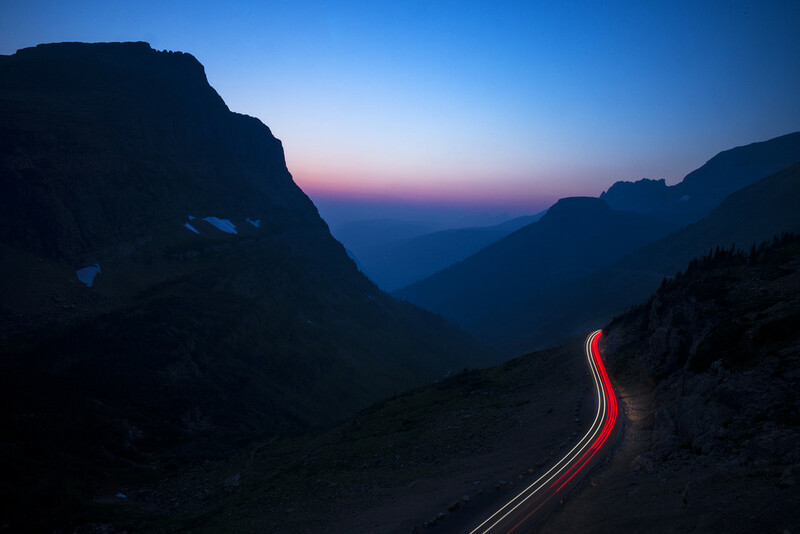 Travel photographer Austin Mann’s philosophy is “chase light,” and that he did, all the way to the beautiful landscapes of Glacier National Park in western Montana.